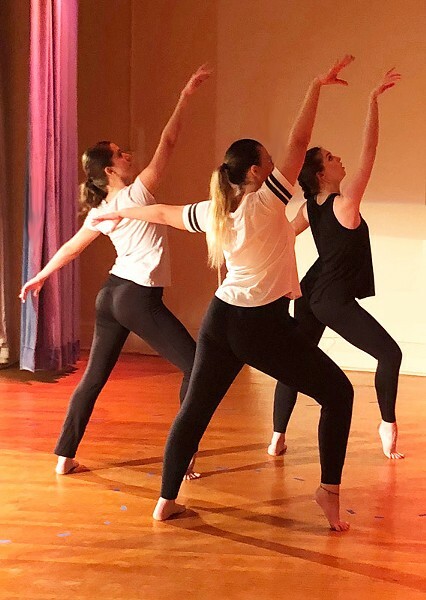 This week the Department of Dance at The College at Brockport will present "Challenging Convention: An MFA Thesis Concert," featuring a program of two students' thesis work. Zhongyuan Fa's "Unabridged Emotions" is a mixed-reality dance performance created in collaboration with RIT students that includes projected facial avatars controlled by off-stage users. The second performance, "Spectrum" evolved from Kristin Dowdy's written MFA thesis, "Gendered Gesture," in which she explores the impact that the gender binary construct has on the physical body. "Challenging Convention: An MFA Thesis Concert" takes place Friday and Saturday, February 15 and 16, at 7:30 p.m. in the Tower Fine Arts Center Black Box Theatre, 180 Holley Street in Brockport. Tickets are $17 for the general public; $12 for faculty, alum, and seniors; and $5 for students. 395-2787; fineartstix.brockport.edu.